You know who was really, really happy about Prohibition? The coffee, tea, and soft drink industries. In fact, they were absolutely giddy. The photo above shows what the vested interests of The Tea & Coffee Trade Journal deemed the “coffee room” of the elegant Adolphus Hotel. And, yes, I believe that is a spittoon at the register. 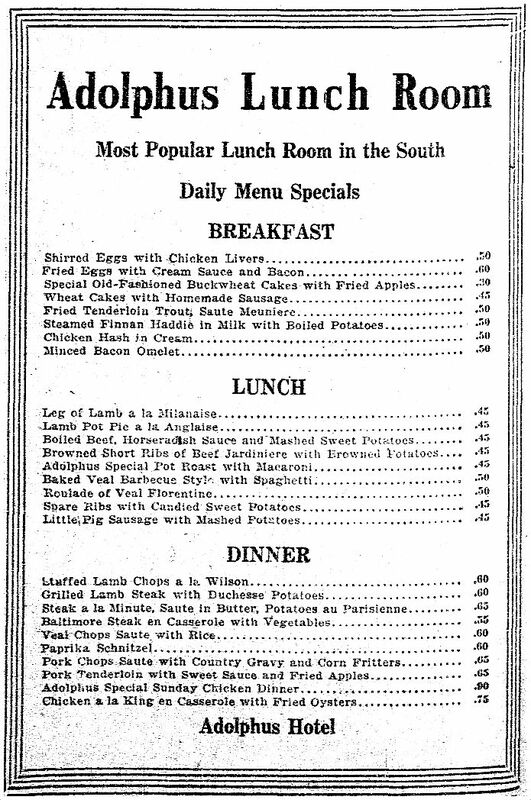 I wonder if that “coffee room” later became the Adolphus barbershop (seen below)? Or maybe the barbershop became the coffee room? Photo from the article “The Renaissance of Tea and Coffee” from The Tea & Coffee Trade Journal (March, 1919). See other photos and read how Prohibition was spurring on this alcohol-free “renaissance” in the article, here. 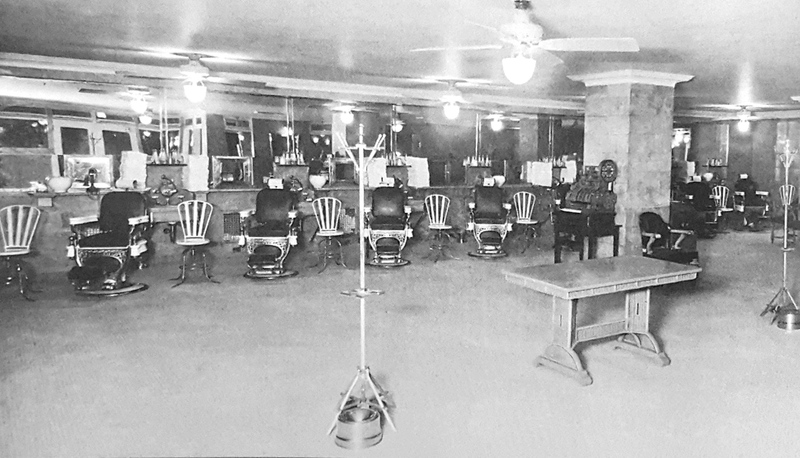 Photo of the Adolphus barbershop appeared in the book Historic Dallas Hotels by Sam Childers, credited to the Adolphus Archives. Many, many historical photos of spittoons can be found in this entertaining collection of the once-ubiquitous cuspidor. …Because when else will I be able to link to something like this? As a sidenote, the Adolphus Hotel was, of course, built by and named for Adolphus Busch, the co-founder of Anheuser-Busch. Mercifully, the beer magnate died pre-Pro — before Prohibition. My guess is that if you were known to the staff, it was possible to get “something” added to your coffee for an additional tip. In fact they might just leave the coffee out of the cup altogether and just give you a mug of “something”. No doubt a possibility, but if that sort of thing was going on at the Adolphus (and it was absolutely going on EVERYWHERE), it was probably going on elsewhere in the hotel, in the more private and exclusive areas. 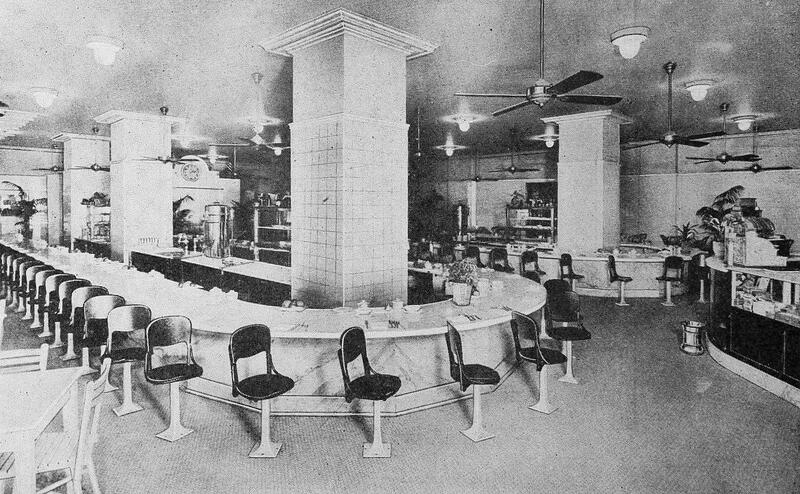 This was the fairly standard “lunch room” where both guests and downtown workers could grab a quick meal. But who *really* knows what was in that coffee urn?